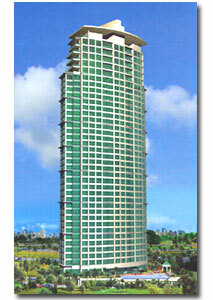 located ideally in the cosmopolitan heart of Fort Bonifacio’s Global City. At The Bellagio, an endless stretch of green stares you in the face-beauty you can almost touch. Savor it all in a stylish home nestled at the edge of the majestic Manila Golf Course. Where every single day begins with a glorious dawn. And ends with a breathtaking dusk. may enjoy a meal, snack, or downtime with friends and family at any of Burgos Circle’s finest coffee shops and restaurants. it is desirably close to Bonifacio Global City’s centers of business, commerce, and leisure. Bonifacio High Street, Serendra, and the Market! Market! mall, the Bellagio offers prime location for its rates.